With the Summer Olympic Games in Rio now in full swing, it is inevitable that many of us have caught the fitness bug. The sporting stars of Team GB have already motivated us to get involved but to follow in their footsteps and become the next gold medalist it is important to have top class facilities close-by both at home and away. Having led his country out at the Opening Ceremony as flag-bearer, Andy Murray is keen to impress after his remarkable win at Wimbledon earlier this summer. 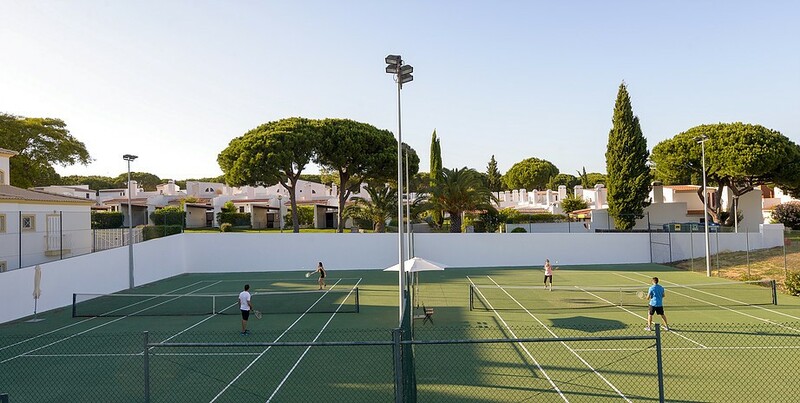 As the first tennis player to be chosen it’s clear that the sport’s popularity is rising and Ideal Homes Portugal have just the property for an avid player. One immaculate villa located in the beautiful hillsides beside Loulé has countryside views down to the coast and the all-important picturesque tennis court to perfect your serves in the sunshine. Only a 15-minute drive from the golden beaches, golf courses and restaurants of the central Algarve, this property is available at €1,750,000. Other facilities include terraces with a private pool, double garage, impressive driveway with gated entrance and an outside kitchen. The four large double en-suite bedrooms, all with access to the garden or a terrace and basement activities such as a games room and a cinema means that you can watch the Olympics and play with your teammates all in one luxurious property. Golf is another key discipline to watch this year as it has been classed as an Olympic sport for the first time in 112 years. Known as the ‘Costa del Golf’, Spain’s southern coast is the ideal location for those looking to perfect their swing. 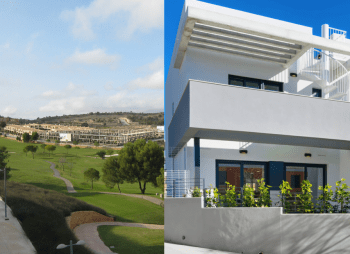 Situated in the beautiful Valley of Mijas, Horizon Golf is Taylor Wimpey España‘s second development at La Cala Resort within the complex’s famous Campo Asia golf course. From just €267,000 +VAT for an apartment and €397,000 +VAT for a penthouse, residents of these exclusive properties will enjoy breathtaking view of the prestigious golf course and the Costa del Sol’s sun kissed coastline, spacious terraces perfect for al fresco dining, and the convenience of a private garage space. All properties benefit from 24-hour security, communal gardens and swimming pool, as well as three 18-hole golf courses, hydrotherapy centre and spa, golf school (La Cala Golf Academy) and an array of sports facilities all close by including two running circuits and specialised trainers on hand to improve technique. What more could a future Olympic champion need? As the Paralympians wait for their turn on the world stage, Team GB weightlifter Zoe Newson is hopeful for a medal in Rio 2016. Having powerlifted since the tender age of 14, Zoe is inspiring the rest of us to get to the gym from an early age and what better way to continuing training through university by choosing accommodation with a private onsite gym? At Collegiate AC’s 333 Bath Street site in Glasgow, there are not only deceptively spacious premium apartments but also access to a fully equipped private gym exclusively for residents. 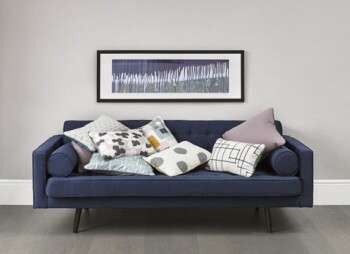 Luxury student living like this is available from just £179 per week so swap that famous ‘fresher’s stone’ weight gain for the body of an Olympian this academic year. 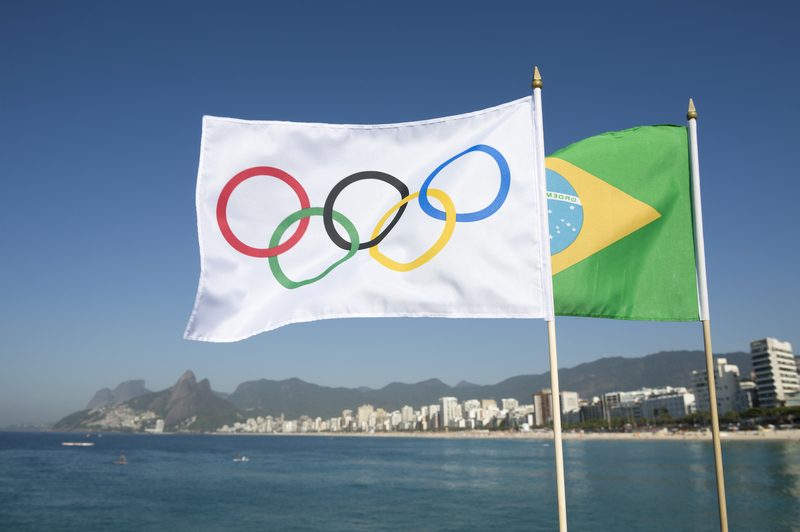 Finally, to celebrate the Olympics being held in Rio, the iconic Brazilian sport of beach volleyball is a must to try. Brazil are definitely the ones to watch having won more medals in the sport than any other country since it was first introduced in 1996 and Ideal Homes Portugal has the perfect luxury pad for you to practice in time for the next Olympics. Featuring a sunken, sand volleyball court as well as a heated infinity pool, poolside games / TV room and mini gym, this 5 bedroom, 7 bath villa is a true gold medal winner! Priced at €3,249,950, this luxury villa is located in a privileged location overlooking the 10th fairway of the Vale do Lobo golf course, perfect for a sporting getaway. The gardens are landscaped with paths throughout for easy access and to enjoy the spectacular views. If our Team GB stars haven’t inspired you enough to get active, these stunning properties with top-class facilities certainly will. 35 days on from the UK’s vote to leave the European Union and the property market doomsayers seem to have gone awfully quiet. The predicted cataclysmic crash seems to have translated to a mild slowdown of the market, with the June 2016 Hometrack report finding that year-on-year growth has held fast at a rate of 10.2% nationally. The report suggests that prices will moderate during Q2 2016, in part due to the Brexit vote but also due to house prices in the south of England having reached near-record affordability highs. Both of these cities benefit from (comparatively) affordable house prices and yields that are above average, according to Hometrack’s June data, and this is reflected in the real estate investment opportunities available in them. Parliament Residence in Liverpool, for example, is available for just £109,900, including a 22% discount for early investors. Nor is it just the UK property market that still offers excellent opportunities. Chris White, Founding Director of boutique estate agency Ideal Homes Portugal, has found that the post-Brexit environment has brought about new ways to connect those buying and selling homes in Portugal. His company, which sells everything from island properties with incredible views to countryside mansions, has launched an initiative that allows buyers and sellers of properties in Portugal to complete the transaction entirely in pounds. Both parties save money on currency exchange services and Brexit’s impact on sterling is taken out of the equation. 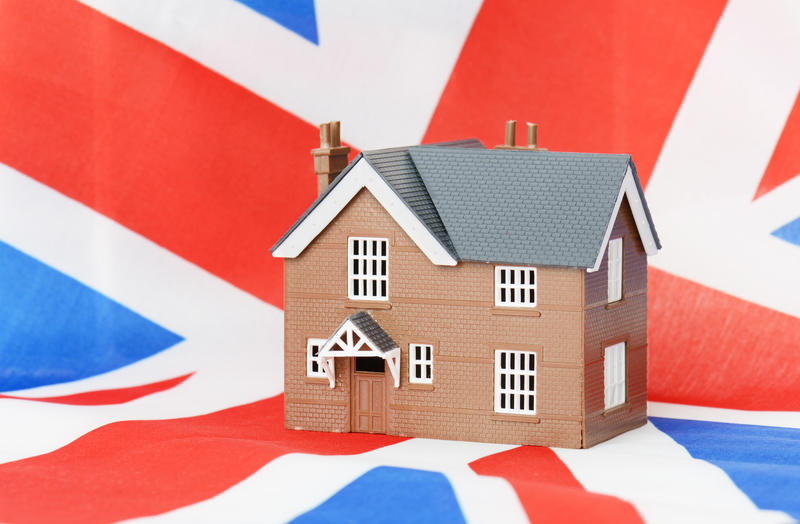 There’s still a lengthy journey ahead in terms of the process of the UK disengaging from the EU, but one month in, the property market – both at home and overseas – seems to be handling Brexit far better than many expected. Property Frontiers: +44 1865 202 700 or www.propertyfrontiers.com. Prime Centrum: 020 7183 6332 or www.primecentrum.com. Whether it’s good news about property prices or the perfect place to indulge your love of gourmet food, the Algarve is the place to be this summer. According to Knight Frank’s Inside View Portugal 2016 report, the Algarve recorded its first annual increase in prime prices since 2008 in 2015. Buyers have been enticed back to the area by a combination of its ongoing infrastructure improvements (the main A22 motorway, which runs the length of the Algarve, and the €32m expansion of Faro Airport) and its plentiful tourist attractions (stunning weather, 37 pristine golf courses and well over 100 fabulous beaches – 88 of them with Blue Flags – to name just a few). Nearly 50 airlines now serve Faro Airport, with passenger numbers jumping by 35% in the decade to 2015. While the area is traditionally popular with British, Irish and German buyers, the pool of those interested in buying property in the Algarve has been widening for several years. Data from Knight Frank shows an increase from buyers of 128 nationalities searching for Algarve property in 2012, to buyers of 147 nationalities searching in 2015. Despite its increasing property prices, the Algarve remains the best value destination in the world, according to the 2016 Post Office Travel Money World Holiday Costs Barometer. 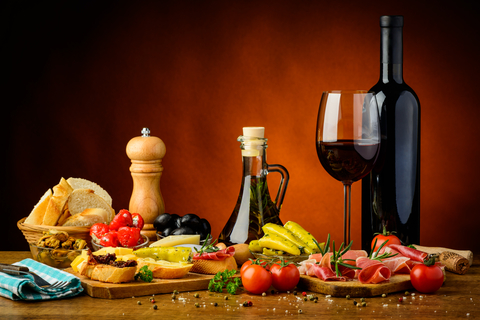 The low cost of food and drink were key factors in Portugal topping the chart. An ice-cold beer usually costs €1 in the less touristy eastern end of the Algarve and excellent wines are available in the supermarket for €4 or €5 per bottle, costing around double that in restaurants. Super strong, delicious coffee costs from €0.70. Interestingly, given the low prices, Portugal has a rapidly growing reputation for the quality of its food. Already known for its hearty seafood stews and rice dishes, the area is now enjoying a booming reputation as the place to indulge in ‘petiscos’ – the Portuguese equivalent of tapas. This summer will see the Rota do Petisco (Tapas Route) run from May until September, with over 100 restaurants taking part. Visitors can purchase a route passport for €1 (profits go to local charities), then access a huge range of petiscos in participating restaurants along the Algarve. The snacks, which include everything from octopus cakes to yoghurt ice cream with almond sigh and cherry syrup, are available for €3 including a drink. Desserts with liqueur are available for €2. Ideal Homes Portugal has observed an increase in those looking for investment property in the Algarve recently, with rising prices adding to the attraction of owning a rental property there. This two bedroom ground floor apartment in Lagos (a town firmly on the Rota do Petisco map) is close to the beach and enjoys its own private garden with built in barbecue as well as a high spec kitchen, Jacuzzi bath, built in sound system and central vacuum. The development also includes a communal swimming pool and Jacuzzi. On the market for €255,000, the property comes with an “excellent rental history” thanks to its superior features, condition and location. Investors looking for a villa with excellent rental potential towards the eastern end of the Algarve would do well to consider this stunning linked villa in Castro Marim. Just 30 minutes from Faro Airport and less than 10 minutes from Spain, Castro Marim is known for its two beautiful castles, fabulous golf courses and lively mid-summer Medieval festival. Available for €400,000, the front line property is surrounded by a combination of golf course, ocean, nature reserve and the pretty Guardiana river. 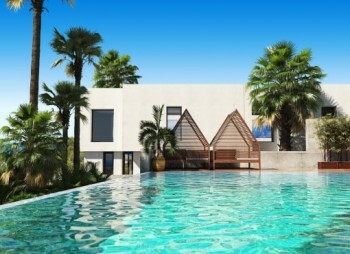 The villa comes complete with three bedrooms, three bathrooms, two private terraces and pool. The master bedroom benefits from under-floor heating, Jacuzzi bath, dressing room and upper level terrace. For further details call Ideal Homes International on 0800 133 7644 or +351 289 513 434, email info@idealhomesinternational.co.uk or visit www.idealhomesinternational.co.uk. The grass is being manicured, the outfits pressed and the racquets strung as the UK prepares to be gripped by Wimbledon fever once more. Every year, The Championships, Wimbledon, showcase the world’s best tennis in a setting that is one of the most recognisably and traditionally English events of the year. Portugal has just been revealed as the overseas destination that is most swiftly increasing in popularity when it comes to bookings made through UK travel agents. According to the ABTA travel association, bookings to Portugal have risen by 29%, beating Spain’s 26% rise and Cyprus’ 18%. Former Dragon’s Den star Duncan Bannatyne and his fellow Dragon Peter Jones are both keen tennis players who recently enjoyed a week of sharpening their on-court skills at the tennis centre in Portugal. The visited the Val de Lobo resort, best known for its stunning golf courses, but also boasting top quality tennis facilities. More than one international tennis star owns a home in the area. Duncan Bannatyne purchased his own dream Algarve villa through Ideal Homes Portugal in 2014. Those looking to do the same – and to take advantage of the area’s fantastic tennis amenities – have a wide range of options available to them. At Alcantarilha, near Silves, a luxurious four bedroom villa with private gardens, infinity pool, BBQ and terraces costs €997,400. The prestigious golfing development on which it is located includes not just two championship golf courses and a gold academy, but also six tennis courts, a sports club and a clubhouse bar. At the world-renowned golfing haven of Quinta do Lago, this spacious villa with panoramic views and lovely heated pool and terrace area is just a short walk from Jim Stewart’s tennis centre. On the market for €1,995,000, it would make an ideal first or second home for those who are keen to enjoy easy access to a top class tennis academy. But for those who are really serious about their love of tennis, it has to be this five bedroom luxury villa in Carvoeiro, complete with its own on-site tennis court. Incredibly reasonably priced for a villa of this quality (the asking price is €1,200,000), the villa boasts sea views, covered barbecue area, heated pool, mature garden with automated irrigation, underfloor heating, electric gates and plentiful terraces and balconies. That’s game, set and match for those looking for an ultra luxurious Algarve property in which to pursue their passion for tennis! Overseas Property Show comes to Cheshire for the first time this June! The organisers of the hugely successful Overseas Property Show are delighted to announce that the event will visit Cheshire for the first time as part of its 2016 UK tour. The free to attend show will be held at the Mere Golf Resort & Spa, Knutsford on Saturday 4th and Sunday 5th June 2016 from 10 am until 6 pm, bringing the dream of second home ownership one step closer to becoming a reality for those who attend by talking to property experts from around the world at a convenient local venue. “The Overseas Property Show is a great way to connect with people looking to purchase property overseas. Some are after a second home, others are looking for an investment property and others want to take the plunge and start a new life abroad. The 2016 Overseas Property Show will focus largely on properties from Portugal, Spain and Florida, with a handful of opportunities in countries like Italy and Cyprus thrown in for good measure. 2015’s shows were hugely successful welcoming thousands of visitors through the doors over the course of the year. For many of those visitors, it was the start of their holiday home dreams coming true. Many went on to book inspection trips and ultimately to purchase a sun-kissed second home overseas. The 2016 tour will build on the previous year’s success, adding new venues like Cheshire in order to reach out to even more would-be holiday home owners across the UK. Portugal is one of the most sought-after destinations for those visiting the shows. The housing market there offers excellent value for money when compared with the UK. Prices have been increasing for some time and the March 2016 Portuguese Housing Market Survey from RICS/Ci confirms that overall market confidence remains solid. The survey observes that price expectations point to steady gains over the course of the coming year, with house price inflation expected to be around 2.5% nationally, 2.9% in Lisbon and 2.7% in the Algarve (the country’s most popular region with British buyers). If it’s advice, guidance, a second home or a celebrity-style super home that you’re after, the Overseas Property Show is the place to be! Tickets are FREE and full details can be found at www.theoverseaspropertyshow.com. With the results of this year’s Blue Flag awards hot off the press, Spain and Portugal’s coastlines are looking even more inviting to those wishing to dip their toes into clean waters. The highly sought-after accolades are awarded annually by the Foundation for Environmental Education (FEE) across almost 50 countries worldwide. Blue Flag beaches are judged on four different categories: water quality, safety and services, environmental management, and environmental education and information. Attaining Blue Flag status is seen as the gold standard for beaches and is widely recognised as an indication of the high environmental and quality standards of the beaches, marinas and sustainable boating tourism operators. Blue Flags are only awarded to the world’s cleanest, most pristine beaches. With a world record 577 Blue Flag’s awarded to Spanish beaches last year (beating their own record of 573 in 2014), it is without a doubt that the Mediterranean country is host to the world’s most pristine beaches. 2016 has proved no different with Spain retaining its top spot adding another 9 Blue Flag beaches to its ever-growing roster. Leading Spanish homebuilder, Taylor Wimpey España are delighted with the results and have witnessed a surge of interest in seafront properties accompanying the Blue Flag announcement. With one in five Spanish beaches flying a Blue Flag this year, the demand for beachfront properties are on the rise. Situated on the beautiful Punta Prima beach near Blue Flag holder Los Naufragos on the Costa Blanca, Panorama Mar is an exciting new seafront development. 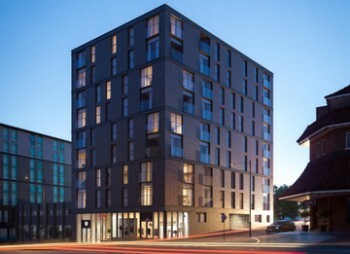 The residential complex offers stylish two and three bedroom apartments all with two bathrooms, air conditioning, underfloor heating as well as an underground car parking space. The apartments have been designed for comfort and convenience and boast three swimming pools including a luxurious infinity pool and relaxing Jacuzzi as well as a paddling pool and playground for children. Prices start from just €234,000 with all apartments in the first phase south facing with picturesque terraces and breath-taking sea views. Indeed Spain’s perennially-popular Costa Blanca is lined with Blue Flags. Close to Blue Flag beach Ciutat, the brand new La Vila Paradís apartments and townhouses enjoy a stunning location. Altet International Airport (Alicante) is just 30 minutes away and the port and seaside promenade of the traditional fishing town is welcoming with its own special charm. Situated on the beachfront with direct access to Paraíso beach, La Vila Paradis boasts a pool, private parking and beautiful communal gardens. A variety of 2 and 3 bedroom apartments are available, the ground floor of which have private gardens, as well as 3 bedroom townhouses, all with wonderful views. The penthouses include basement parking and storage. Properties are priced from €248,000. Spain’s Canary Islands have also had great success in the Blue Flag awards accepting 66 Blue Flags with Tenerife receiving an impressive 15 Flags, an increase of 4 since 2015. Also famous for its exquisite Blue Flag beaches is the esteemed Algarve region in southern Portugal which has been awarded 88 Blue Flags this year, an increase of 3 since 2015. The new Flags were awarded to Armona-Ria in Olhão, Rocha Baixinha in Albufeira and Amoreira Mar in Aljezur. Representing around 45% of Portugal’s tourism earnings, the Algarve is a beloved beach holiday destination that appeals to many second-home buyers and the recent Blue Flag awards are set to attract further investments this summer. With beachfront properties highly desirable, those on or near beaches with Blue Flag status are in even higher demand. Located in the charming Olhão region on the Fuzeta seafront, moments from this year’s Blue Flag beach winner Armona-Ria, Del Mar Village is offering a magnificent luxury two-bedroom apartment. Comprised of 63 fully equipped apartments, and available through Ideal Homes Portugal, Del Mar Village is a unique space that provides all that is needed for a modern lifestyle. Facilities include swimming pools for both adults and children, private gardens, large garages for vehicles and equipment as well as balconies with exquisite sea views. Del Mar village also provides a video entry system and security alarm system for added peace of mind. This stunning apartment starts from €680,000. The popular area of Albufeira is also home to a variety of beautiful second homes. Just 5 minutes’ drive away from pristine beaches, including Blue Flag beach award winner Rocha Baixinha, is a spacious four-bedroom villa in a peaceful and relaxing location. Perfect as a second home investment, the villa is comprised of four bedrooms, four bathrooms and outside swimming pool, as well as covered dining and barbecue area, tennis court and double garage from €449,000. With the greatest amount of sunshine in Europe it is clear why Algarve has become such a popular place to relocate. Taylor Wimpey España: please call +44 08000 121 020 or visit www.taylorwimpeyspain.com. Those residing outside of the UK should call 0034 971 70 69 72. Cheap-Holidays-Tenerife.com offers flights from UK airports, and accommodation in the popular tourist resorts of Costa Adeje, Los Cristianos and Playa de las Americas in south Tenerife. Their team scours the web for the most competitive holiday prices on the market… and then beat them*! The UK and Tenerife-based call centres are staffed by British advisors, all of whom are dedicated specialists in Tenerife holidays. What’s more, their Tenerife-based advisors have lived on the island itself for an average of ten years, which means they have the ultimate first-hand knowledge to offer great advice to travellers! Now for the serious bit: The discounts available via Cheap-Holidays-Tenerife.com are subject to qualification criteria relating to the traveller(s). Please be sure to read this criteria, which can be found in point 4 of the Terms and Conditions. A holiday consultant will then contact you to arrange a Personal Orientation Meeting during your stay, which will involve showing you how to receive similar discounts on all future holidays (not just to Tenerife). Of course, no customer travelling with Cheap-Holidays-Tenerife.com is under any obligation whatsoever to accept or to buy any holidays or offers during their Promotional Holiday to Tenerife with Cheap-Holidays-Tenerife.com. However, to qualify for the discounted prices, you’ll still have to meet the qualification criteria mentioned above. All bookings are subject to availability, and are specific to hotels and/or apartments in these areas of Tenerife. The world is a vast and exciting place. From the mysteries of the Far East to the natural beauty of New Zealand and the endless variety of India, it is a planet that is ripe for exploration. But when it comes to retirement, it is those destinations much closer to home that regularly top Brits’ list of desirable locations, with Iberian countries proving the most attractive. According to Silver Travel Advisor, 80% of the UK’s wealth is held by the over 50s. They are wealthier than ever before and expect to live longer: the United Nations Department of Economic and Social Affairs puts life expectancy for UK residents at 80.45 years. That’s plenty of time to soak up the sun after cashing that final pay cheque! A poll by MGM Advantage found that 26% of Brits planned to retire to Spain. While it seems unlikely that a full quarter of those in their golden years will decamp to the Costas (figures from Brits Abroad show that it is closer to one in ten Brits who lives overseas), Spain is certainly a hugely popular destination with British retirees. Some 761,000 UK British citizens live in Spain, according to Brits Abroad, accounting for 13.8% of the total number of Brits residing overseas. “Retirees these days have more funds behind them to explore the world with, but a considerable number look no further than Spain when it comes to where they want to live during their golden years. When you consider Spain’s advantages, it’s easy to see why. Even Spain’s infrastructure ticks the right boxes when it comes to retiring. According to the International Living Global Retirement Index 2016, Spain was the top country in the infrastructure category thanks to its excellent internet coverage, modern roads and extensive public transportation system. The country also has a high number of doctors in proportion to its population, according to OECD Health Statistics 2015, with healthcare offered freely and universally. New pension freedoms mean that retirees can approach their years of leisure with far more flexibility. This is having an impact on the plans of those currently looking at retiring overseas. When it comes to property, the average UK home costs £200,251 based on Nationwide’s figures. That’s roughly €255,142 – enough for a five bedroom, three bathroom villa with pool close to the beach, marina and four golf courses in the pretty Spanish town of Villamartin. Clearly size matters when it comes to a retirement property. The UK is home to the smallest properties in Europe according to a Cambridge University study, which found that 79% of residences were either near acceptable size or below it. A five bedroom villa in Spain, with plenty of room for the family to come and enjoy holidays in, offers far more value for money that one could expect from an English property that cost the same amount. Nor is it just mainland Spain that retirees love. Las Palmas, in Mallorca, is the cheapest Spanish city on the Numbeo Europe: Cost of Living Index 2016. Like mainland Spain, Mallorca enjoys quick and easy connections to the UK, which makes it ideal for retirees who want to live overseas but also maintain regular contact with their friends and family back home. Mallorca is home to some stunning properties and leading Spanish homebuilder Taylor Wimpey España has plenty to offer on the island, from key ready apartments and townhouses at Costa Beach – Port Vell from €240,000, to spectacular seafront houses on the clifftops of Cala Magrana Mar – Porto Cristo, priced from €640,000. One position after Las Palmas on the Numbeo Europe: Cost of Living Index 2016 is Braga, in Portugal, closely followed by Coimbra, Aveiro, Porto and Lisbon. Portugal is another favourite with retirees from the UK, thanks to its excellent value for money, fabulous weather, friendly people and laid back way of life. Portugal also has a good infrastructure when it comes to healthcare, internet coverage and flight connections with the UK, all of which are influential factors when it comes to UK residents seeking out a sun-drenched retirement spot. According to the Retire Overseas Index 2015, Portugal’s Algarve is the best place in the world to retire to. It is the second year in a row that the region has taken the top spot, with its low cost of living, affordable property cost and established expat community all highlighted as distinct draws. The Retire Overseas Index also notes that it is, surprisingly, possible to live in the Algarve and only speak English. Retirees looking for a laid back, beach-based lifestyle will feel right at home in the Algarve. For those on a budget, a simple studio apartment just a few minute walk from the marina, beach and shops in Vilamoura can be bagged for €75,000 including furniture. At the other end of the spectrum, buyers with €4.9 million to spend can pick up an impressive five bedroom villa with pool and sea views in the popular Quinta do Lago golf resort. No wonder then that when it comes to retirement the lure of Iberia is too strong for many Brits to resist! The Algarve is Portugal’s most popular tourist destination. In the summer months, the country’s entire southern coastline comes alive: restaurants are full, bars are buzzing and shops are packed. The region’s population triples if not quadruples during July and August, thanks to the huge influx of international visitors and much of the population of Lisbon decamping south for the summer. Then September rolls around and most of the tourists go home. A few shoulder season visitors keep the region ticking over for a month or so, but by early October the sunbeds are packed away, the bars and restaurants have let their summer staff go and an eerie peace descends on areas that were thronged with people just a few weeks earlier. Of course those summer months also have their own appeal. The Algarve offers a lively yet safe environment for families looking to enjoy the sea, sand and sunshine on their summer break. In fact, the Portuguese government has just revealed plans for the Algarve to become recognised as “Europe’s safest tourist destination.” The ‘Algarve – A Safe Destination’ initiative will see national and local organisations working together to create a “sense of safety and security among foreign and national tourists alike,” according to Home Affairs Secretary Jorge Gomes. Not only that, but a further initiative is set to balance out the seasonal employment fluctuations, at the same time as promoting the Algarve’s walking and cycling routes. While Portugal hosts many professional road races for cyclists, many visitors are unaware that the Algarve also offers a scenic cycle route – the Ecovia do Litoral (Eurovelo) – which runs the whole length of the southern coast. The route takes riders (and walkers) through richly diverse landscapes including working salt pans that are packed with wild flamingos during the winter months, butterfly-filled meadows and rolling farmland covered with orange trees, olive bushes, carob trees, fig trees and almond trees. The Via Algarviana, the Rota Vicentina and the Rota Guadiana are also available to those looking to explore this beautiful region on foot or on two wheels. They offer an excellent way to keep active while on holiday and to catch some sunshine while seeing more of Portugal, whatever time of year it may be. Ecological tourism in the Algarve offers some interesting opportunities and the new focus on promoting the cycling and walking routes in the region is bound to give this a serious boost. According to data from ANA Airports, Europe is experiencing growing demand for this kind of tourism, which is worth some €35 billion for single-day activities and €8.9 billion when it comes to trips with an overnight stay. Those looking to be part of the Algarve’s ecological future can get involved for a mere €1.5 million with this wonderful ecological tourism resort. Set in the stunning Parque Natural da Costa Vicentina e Sudoeste Alentejano in the western Algarve, the resort consists of 6 hectares of land, a spacious three bedroom villa and a design project with approved tourist licence to create 16 detached villas, swimming pool, bistro, sports courts and children’s playground. The eco-friendly design combines natural materials (ecological clay villas) with high-tech modern features to save energy (such as solar panels and a heat pump for central under floor and wall heating). 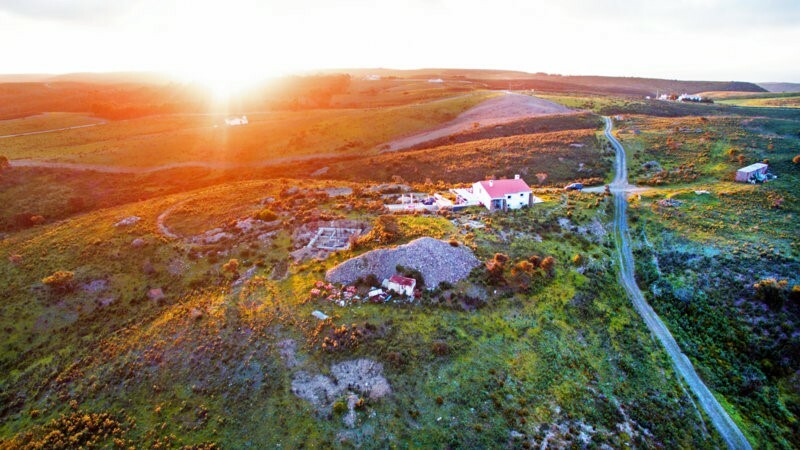 The resort is ideally suited for those looking to build a rural business around walking, cycling, climbing, horse riding, swimming and surfing. For further details call Ideal Homes Portugal on 0800 133 7644 or +351 289 513 434, email enquiries@idealhomesportugal.com or visit www.idealhomesportugal.com. You can also connect with the team at the free-to-attend Overseas Property Show (www.theoverseaspropertyshow.com) in Birmingham on 28 & 29 May and in Cheshire on 4 & 5 June 2016. Visitors to the Algarve are used to its golden sands and golden sunsets, but now Portugal’s most popular holiday destination is tempting tourists with another kind of gold altogether. To celebrate 50 years since the opening of the Algarve’s first golf course (the Henry Cotton-designed Penina, in 1966), from June 2016 the region’s top courses will feature commemorative golden tee markers. Each visiting golfer will be given the opportunity to play from the specially commissioned golden tees as part of the summer’s celebrations of the role of golf in Portugal’s tourism heritage. Golfing in Portugal has never been more popular. A record 1.2 million rounds were played in the Algarve in 2015 and 2016 has already got off to a bumper start, based on figures from the Algarve Tourism Association. Yet according to the KPMG Golf Participation Report for Europe 2016, Portugal itself is home to just 13,484 of Europe’s more than 4.1 million registered golfers. The figures show the importance of golf tourism to the Algarve’s tourist industry, as well as highlighting the popularity of the region’s courses. Those courses are so popular that golf properties in the Algarve are some of the area’s most impressive and sought after residences. Celebrity owners rub shoulders with entrepreneurs both on the courses and off. Duncan Bannatyne, Peter Jones, Rubens Barrichello, Steven Gerrard and a whole host of other celebrities have bought houses in the area. Footballers in particular seem to have a soft spot for the region: Alan Shearer, Michael Owen, Teddy Sheringham, José Mourinho, Cristiano Ronaldo, Robbie Fowler and Gareth Southgate all own homes there. One such property is this delightfully presented five bedroom villa in Quinta do Lago, which is on the market for €4.9 million. The spacious, contemporary interior includes a two tiered lounge\TV snug with feature fireplace, kitchen, breakfast room, formal dining room, home cinema, games room and ample guest accommodation. Views are over Quinta do Lago’s South Course, while the south west orientation also allows for the enjoyment of the Algarve’s famous sunsets. A heated pool, Jacuzzi, landscaped gardens and outdoor dining area with built in barbecue complete the offering. The Algarve is often seen as Portugal’s golden child due to its perennial popularity with domestic and international visitors alike. Blessed with more than 300 days of sunshine per year, the region is home to everything from gorgeous beaches and picturesque coves to rugged mountains and mile upon mile of sweet-scented orange groves. 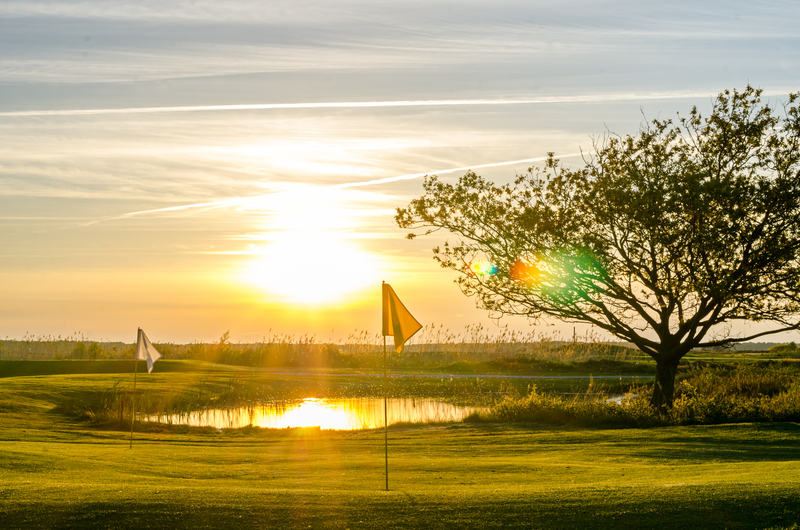 With 50 years of prestigious golfing history thrown into the mix, it’s an area that really does have it all so far as meeting the demands of modern tourism is concerned.